Oh so it's a player avatar? I was pretty sure I had seen this one in the past though so maybe it was yours. Hello. 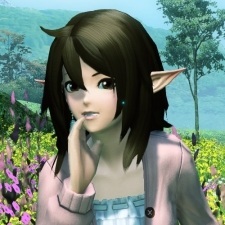 From where is the character with the long ears in your avatar? Is it from phantasy star? What's h....her name please?